On Feb. 8, they kicked it off in Chicago at Mayne Stage in Rogers Park. 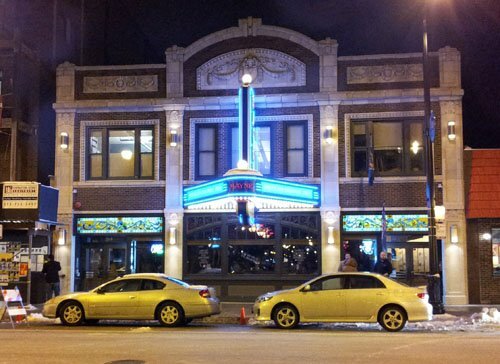 Mayne Stage, located at 1328 W Morse Ave., has a restaurant called Act One Pub that has two bars on each floor with areas to lounge in with two entrances to the stage area on each floor. “I like the space and feel of the venue and I like that there’s lots of room to dance,” said Lillian Smith, a Northwestern student. Swing Brasileiro kept the music going with other musical styles like marcha, frevo, and Batucadas. Bloco Maximo, a Chicago based percussion group that plays traditional sounds of Brazilian samba joined Swing Brasileiro toward the latter portion of the performance. The rhythmic music and Caipirinhas made sure the dance floor was packed the entire night. Every year in Brazil, beginning on Friday and ending before Ash Wednesday, millions celebrate the biggest festival in the world. The significance of Carnival is that it is the last period of indulgence and pleasure before people enter the Lenten season of abstinence. In the lobby before and during the show, Virna Souza originally from Bahia Brazil, had a stand set up displaying the culture of Brazil. She was also selling bumper stickers, pens, and T-shirts with “BrazilChicago.com” printed on them. 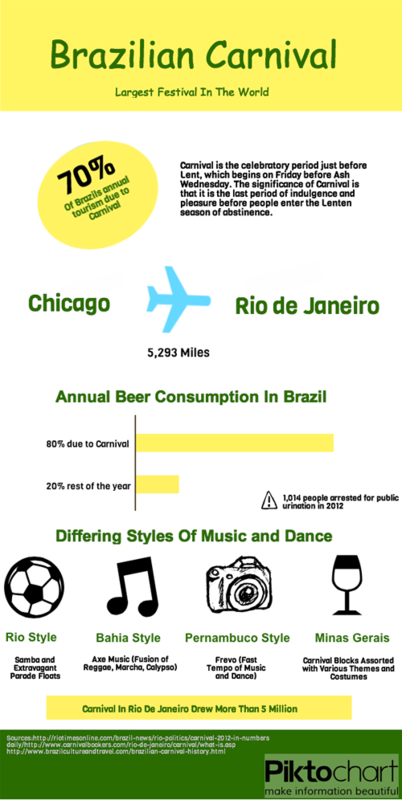 “The whole point of Carnival is to enjoy the culture of music and dance, whether you’re Brazilian or not. It’s a world event, about people celebrating life, she said. Rio de Janeiro is only four hours ahead of the Central Time Zone. Mayne Stage took advantage by displaying a live feed of Rio’s Carnival prior to Swing Brasileiro taking the stage. Having a 22-foot HD projection screen above the stage adds a nice bit of production value to the place. Swing Brasileiro took the stage around 10:30 p.m., an hour after they were supposed to begin, as many people showed up late. They pumped up the crowd by starting to play Samba with heavy percussions. Accompanying the music was the Dill Costa Dance Group. Samba Dancers in Rio de Janeiro parade around in extravagant floats and dance for millions of spectators. The dancers from the Dill Costa Dance Group did their best to represent the traditional style of dance by sambaing up and down the rows on both floors, dancing with patrons. 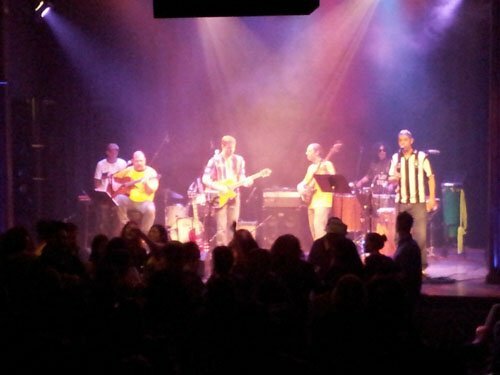 Mayne Stage combines the club atmosphere with traditional concert aesthetics. Standing patrons or people with reserved seating can leave anytime to get a drink at the lobby from either the first or second floor bar. Their drink special of the night was the Caipirinha, Brazil’s national cocktail. It’s made by crushing half a lime, pouring sugar and ice, topped off with vodka. They did not have cachaca, the traditional liquor used in making the drink. Having two bars seems like a positive in any establishment, but employing only three bartenders for the entire night didn’t sit well with some patrons. “It’s crazy how long I waited to get me and my friends something from the bar. They need to have at least three people upstairs and downstairs,” said Nina Galarza, a fan of Brazilian Carnival.